This 5-ply offensive blade is characterized by an unlimited flexibility. 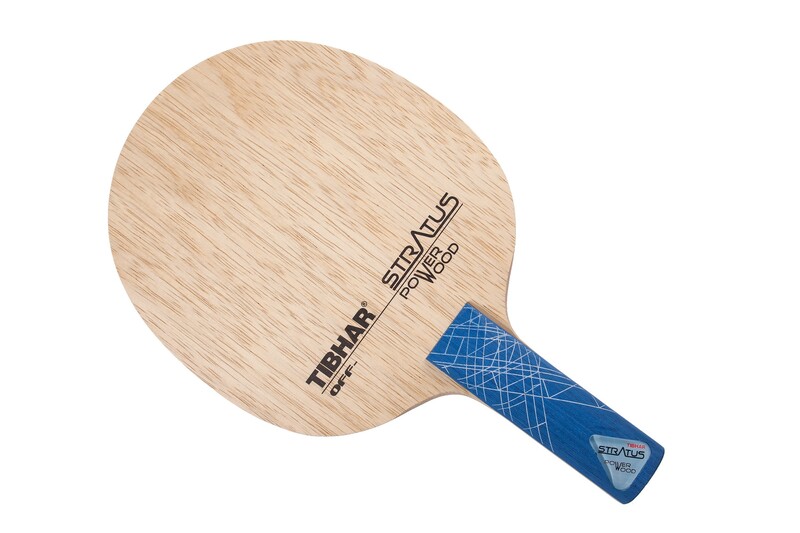 From the hard flip to a finer topspin with lots of spin, you will be able to realise the whole pallet of stroke play for the offensive game with Stratus Powerwood. I play with it almost a month and mine is 87g weight. Very nice feeling, without vibrations. Little bit faster than I expected, but after few sessions fits perfectly.. I paired it with BH: Rozena and FH: Xiom Vega Japan. Nice blade with decent control. But, considering the price, I liked the Yasaka Sweden Extra more. Good control. Good feel. Not Fast. Feels very good to play with this blade. Blocking feels very nice with this, also has good pop for playing fast and you can generate nice spinny topspins. Also the handle is gorgeous. This blade was a major change for me so I had to make some adjustments to my strokes. I was very impressed with the feel of the ball and trajectory when counter driving. Previously, I had used a Donic Opticon 80 gram. This blade had a larger sweet spot and weight was 85 grams. For looping, I had to spin with less power due to the blade and rubbers considerable catapult effect. Balls popped off the blade quickly. It took approximately 8-10 hours of hard play to adjust to the feel of the blade. Pushes still go long when pushing deep to the middle. I will continue using this blade. I haven't used it long, but for the price, this combined with Donic Baracuda+Yasaka Razka 7 feels to be faster (and less forgiving) than my Yasaka Extra Offensive 7 Power with DHS Neo Hurricane III+Xiom Vega Europe. The combination also smashes much better, feeling like I can go without hesitation right to where I want it. Very nice paddle! Recommend to all! If you are currently using a 5 ply All-wood flexible blade and need more speed, you can go with this. If you are using Carbon Blade and you want more feeling without using much speed, you can go with this. This is faster than a lot of 7 ply All-wood blades available in the market with great feel and dwell time. Works well with European rubbers, but if you want to use Chinese Hard and Tacky Rubbers, you should go for something more flexible than this blade, because you might find this blade a bit stiff to use Chinese Rubbers. Over the last few years, I’ve tried several different blades. I used to play the Butterfly Innerforce ZLF, but decided to go back to all-wood blades because they tend to be lighter weight with more control. I found that I resorted to half strokes when using newer rubbers (Tenergy 05-FX or Evolution rubbers) on a carbon blade. After playing with the Nitakku Acoustic and Butterfly Primorac, for a year or so, I decided to go with an all-wood blade that is slightly faster, but still has great control. I love this Tibhar blade. I’m using FX-P on both sides. I feel like it is a noticeable jump up from the others I have tried. I really like the speed and spin that I can generate with this blade combination. The sound is really nice too! I chose this as my second blade and I am very glad with the upgrade. This 5-ply all wood blade is one of the best blades I have ever used! For so long I have used mostly blades with carbon in them. Which most of those blades I have enjoyed using, but using the TSPW has given me added control and touch. Like most have said about this blade, it is still a fast blade when needed. Paired with MXP on both sides this is a great offensive blade with lots of touch, control, dwell, spin, and speed! For the price of the item at the point/moment of purchase, I consider a worthwhile buy. The feeling of the blade is good. Not too fast, but not slow either. For this price range, this is one of the best offensive looping blades I have ever tried. This is a step up from my previous Nittaku blade. This has more speed and great shot control. Using MX-P on FH and Yasaka Valmo on BH. The weight is just right for offense. It provides good command over rally. Either you block or you attack, it would be extremely controlled. Also handle provide comfortable grip. Good finish, little vibration due to thickness. Me prefer less than 6mm. However the quality of this blade is undoubted. Great feeling with the bat and good speed. It feels like a good bat. This is a no-nonsense racket. It plays very well and no high ranked player profits from it! The size is just right and the edges touching your hand are very smooth. Excellent finish to this blade! This blade can be used from beginner to intermediate and above. Remember its mostly the person and technique. 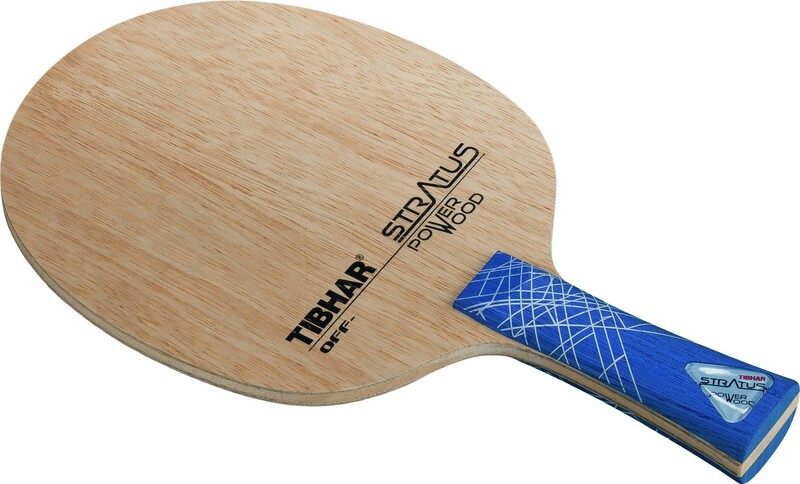 Timo Boll can beat many players with a $35 euro blade! I bought this blade as a straight handle and weighs in at 88g. The packaging is great and the blade's look is fantastic. I didn't have to sand the wings of the blade because it was already rounded and felt great in my hand. This is a great blade to develop your offensive techniques and skills. However, my only criticism is that the handle is a tad bit thick, but it isn't a dealbreaker. It has great feedback, not much vibration. Lots of control for both touch and power shots and a big sweet spot. Good service from TT11, excellent wood, very fast, with plenty of cotrole and no vibration, a great choice for loops. Отличное деревянное основание. В меру жесткое, в меру мягкое, с хорошим звонким отскоком, без вибраций, в общем чистый OFF, но я думаю вполне подойдет и для более универсальной игры. Подойдет для большого количества разных накладок, кроме китаек. Очень удобная ручка, идеальный выбор для тех, кто не хочет связываться с тяжелой семислойкой. Качество в общем хорошее, но на ручке есть маленькая заусеница, ранее все за это Stiga ругали, но вот Stiga у меня идеальная. The blade quality is awesome. With Nittaku Fastarc S1 and Xiom Omega V Europe, has good control (for me it's 9/10), it's fast but I'd prefer a little bit more kick so it's 8.8/10. Awesome sound: solid wood, not hollow. Dwell time is ok, no flex. Not bad. Famous blade for beginners. Really nice blade. Good service. Dhs shipping was also very convenient. Great blade for OX pips. You can bump, chop, and fast attack with this blade. Very high quality and the perfect fit for an OX all around modern defender. a good blade; a bit too heavy for me, but you can try and ask for a certain weight. 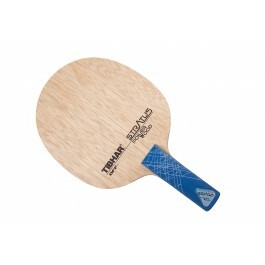 It's a soft, average speed, good for topspin blade. It gave me blisters, but I could have avoided that by sanding the handle. Be smart, don't forget to sand the handle. Control, feeling and speed. Very predictable. The best for it's price! only 1 minus - too smooth handle. uncomfortable for my hand. Very cheap price but performance is very very good. Power & control almost best item in ,y blade collection. Blade: My blade weighed in @ 84.2g which is very ideal for me. This is my 4th blade and only anatomic style blade which I like very much. Slightly larger head size: 158x152mm @ 6.15mm thick. Good initial quality with the edges sanded from factory. I've been playing the Powerwood for 4 days consecutively. Power: when playing normal rally, the power seems about 8.7 out of 10, but when you smash hard(8), it lacked the carbon backbone & speed of the fast blades that I have. I would say the overall speed is 8.5. Not very fast but not slow either. However, it makes up with more spin in loops and higher throw and that was the main reason that I bought this blade. Blocking is very good when using harder rubber. I have Galaxy Moon Max (FH) + Vega Pro 2.0mm (BH) both sides are harder rubbers. TSPW blocks like a wall, very solid and good feel. I really like the solid feel comparing to my other carbon blades which feel somewhat numb vibration free. Vega Pro is a little too hard for this blade, I may want to try a medium hard rubber next time. My friend also has this blade with ST grip that I tried. He has Tihbar rubber + Barracuda and his blade plays a lot nicer than mine. Overall, it's a very good blade at exceptional good price. TT11 service is excellent, people are very courteous. I mistakenly input the wrong mailing city and the parcel was returned to the sender. TT11 sent me my order twice without charging me for the shipping. I really love the good price and service they provide here. This is my first purchase and will be many more. I also told several of my club members about the website and I'm sure they will love to do business as well. Very nice feeling but too slow for my style of playing. Blocks and close to table is very good. Anyway very good quality for that price and i recommend it for allround/offensive players. Bought it as a spare bat to my Mizutani and it came out as a the main one. Paired with Tibhar Evolution FX-P and MX-P it game me a whole new level of game. Better control, more spin, more power. Bigger handle needs time to get use to if changing grip constantly. Works better with softer FX-P rubber, at least for me. A friend of mine (pen-holder) tried the bat and he liked MX-P better, so it's matter of technique and preferences. It has nice click. Overall great blade, especially for the price. Can't believe how nice this blade is for the price. Fit and finish are outstanding. Edges all sanded from factory. FL handle is very comfortable size and shape. Blade feel very solid, is pretty fast, but still very manageable, even for a newer player like myself. Just a great deal from Tibhar and TT11. I have two such blades. For me the handle is nice and very comfortable to use and the blade is very balanced. It feels lighter then it is. The control and power is balanced and strong. I've also got primorac japan fl and i like tspw better. Great blade, not quite as fast as I expected, though. I think it's my rubbers. Great control though. Good speed considering an all wood blade. Good directional control. More stiff than my previous blade YE. The ball feel on the blade is nice. Good for loops and block / push too. The balance on my blade is at the tip of the handle. The handle is of anatomic type. And lastly very happy with the service I got from TT11. Queries were answered very fast. Delivery was within time. The blade was well assembled ( bought rubbers as well ) , nicely taped. The delivery package also contained half a dozen TT balls and an extra edge tape. Have recommended to all my TT playing friends in India for quality product at good price with great service. Lightweight blade with lot of control and speed. Nice 5 ply off blade. I'm very happy of this blade. All the shots come very well controlled thanks to its great and well balanced dwell time. Anyway, when needed, you can hit hard the ball and get all the speed you may need for a winning shot. The blade is heavier than 85g. Probably closer to 90 g. But that's a good thing if you are a looper. Definitely an offensive blade with very good feel. You can feel the ball bite into the blade with soft rubbers. Very solid feel during counterlooping. Flipping is easy, and I had no problems pushing. The handle is very comfortable. I honestly cannot find anything negative about the blade. It plays good with modern eur/jap rubbers.The only problem is ,it is very fragile. Good dwell time and has a comfortable handle. Speed is in OFF- OFF range. Blades with Flare and Anatomic handles have different balance. I prefer AN. despite its relatively low price tag, this is an excellent blade for those who are intermediate players and looking for a fast 5 ply all wood blade. very good feel and excellent looping blade.